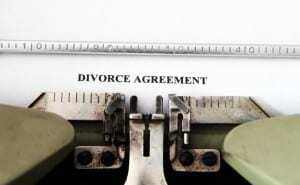 A break up of a marriage can be a very upsetting and traumatic experience. Maintenance payments, access to children, division of property and personal items and pension rights are all issues which have to be clarified and agreed. Mediation and Collaborative Law attempt to reach agreement between the parties with the assistance of qualified and experienced practitioners. However if an agreement cannot be reached it may be necessary to issue legal proceedings for a Divorce or Judicial Separation and seek a decision and order from a Court. Family Law is an extremely complex and sensitive area. You will need to ensure that your rights are protected in a professional and caring manner. We at Burns Nowlan have many years experience in all areas of Family Law including applications to the District court for Maintenance, Barring / Safety orders and Access arrangements. We have also represented clients in Divorce and Judicial Separation proceedings in the Circuit Court and High Court. Matthew Byrne will guide you through this difficult period and will give you the assistance you require.